My hubby and I are part of the iphone club, and have been for about two years now. Our iphones are our first ever smart phones (prior to that we owned two pretty dumb phones for a few years). I like technology. I like social media (yay Twitter!). I am definitely not a luddite. But there's just something about constantly being glued to our smartphones that makes me uncomfortable. I suppose I'm already critical due to my job (children do not learn language from screens, please please no screen time before the age of 2yrs and limit before 5yrs! Rant over), but in the past few months three separate situations have forced me to take a closer look on how I use my smartphone. How WE use our smartphones. Driving while using/holding/looking at your smartphone is illegal in Nova Scotia. And people are finally getting ticketed. Honestly, I'm glad. I look over at a red light and I see all these people looking down. I KNOW you're not looking at your crotch dude. Distracted driving, of which cell phone use makes up a large part, is becoming the highest cause of car accidents in our country. It's serious business, and the evidence is out- it DOES cause accidents and deaths. It was when I had to consciously coach myself to get through driving without checking that text or answering the phone that I realized that there was a problem. If I intellectually agree that smartphone use and driving is not cool, why was it so hard for me to resist that urge? No text, tweet, facebook update or call is that urgent that it can't wait until I get to where I'm going (or, on long trips, that I can't pull over). It took a few weeks, and I still repeat the "no text is urgent" mantra, but the urge to answer is almost nil. Months ago I decided that when at home I did not need to have my phone attached to my hand/hip all evening. There is something about being available 24/7 via text that irks me. So, when I get home I generally put my phone on the kitchen counter and that's where it "lives" for the night. I might grab it to tweet a few things here and there, or answer a text if I feel like it, but it has a "home". Just like our landlines used to. A simple strategy, but it works. (During work it's on vibrate and gets checked only a few times. Because I'm at work, working). As a result I spend less time interacting with games/social media/texts on my phone and more time connecting with my family. Unfortunately, simple modelling wasn't enough for my husband. A few weeks ago my hubby and I had to sit down and have "the talk". I started noticing that every time I looked over he was looking down at his phone. While we were getting supper ready together, eating supper, watching tv, chatting about our day, playing boardgames, even buying groceries. When did his phone become this full time attachment to his body? When I baldly said that I almost never saw him anymore without looking at his phone, he was surprised. It had just become second nature that he doesn't even realize just how much screen time he's using. His phone constantly buzzes with notifications, which like a pavlov dog, he's become trained to respond with automaticity and without conscious thought: buzz=check phone. He's been trying to leave his phone away from his person in the evenings, instead of keeping it in his pocket. He's shut off most of his notifications. We're recognizing that simply will power and good intentions aren't enough. We need to pre-emptively modify our environment to maximally support the desired behaviour. It hasn't been overnight, but it's been improving. Situation 3: Technology in the bedroom. I am a firm believer of no TV in the bedroom. I've read enough research that clearly shows the best sleep is when you shut off the tv for at least 30min before bedtime. I also apply this to non-tv screen time. I don't read emails, answer texts or check blogs before bed. Doing so makes your body tense and stimulates cognitive functioning (all no-nos for getting ready for sleep). 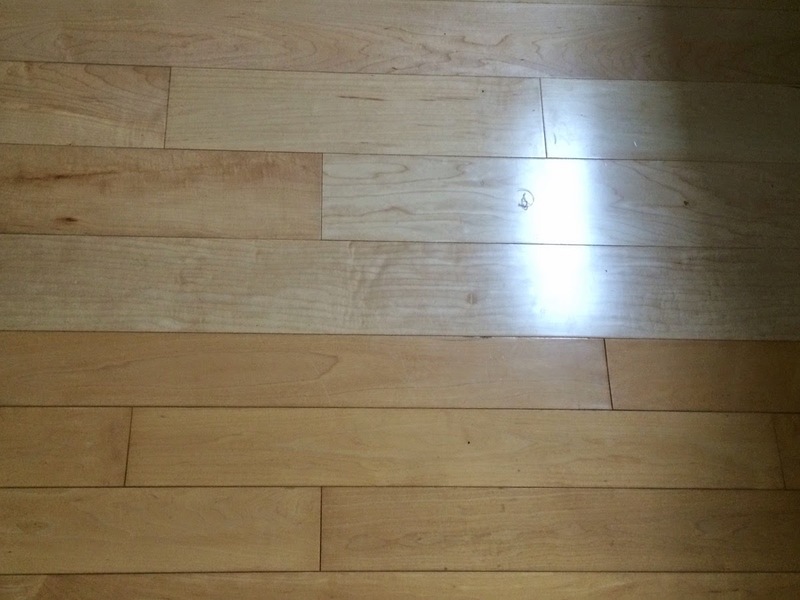 For months now I have been trying to get my husband to charge his cell phone downstairs. Currently, like most people, he charges it right next to the bed. His reason? "It's my clock!". Except, we have an alarm clock on my side of the bed and I am always the one that wakes up first. The reality is that from the moment he wakes up he's checking twitter, facebook and his games while still in bed. Recently there's been some research indicating that the different notifications during the night, even if they don't make a noise, will disrupt your sleep patterns. You don't wake up fully, but when your phone lights up (even just a bit), it alters your sleep wave patterns and brings you up from a deeper sleep. The blue light in the screen disrupts melatonin production. So yes, he puts his phone on "sleep" mode after a certain hour... but really it just means that the first thing he does while still in bed each morning is check his phone, it follows him as he stumbles to the bathroom, takes a shower and decides on what to wear while. I come up to find him staring down at his phone while still in his bath towel. Last night he charged his phone in the master bathroom. This weekend we are buying him an alarm clock. All this because I look around while at restaurants, coffee shops, parks, walking down the street and all I see are people looking down instead of at each other. In order to care about our planet I am a firm believer that we need to CONNECT with it... and each other...and we can't truly do that while glued do our smartphones, looking down. How do you use your smartphone? Have you found it challenging to put it aside? Do you have tips or tricks you use? Mindful Echo is an ENVIRONMENTALIST. 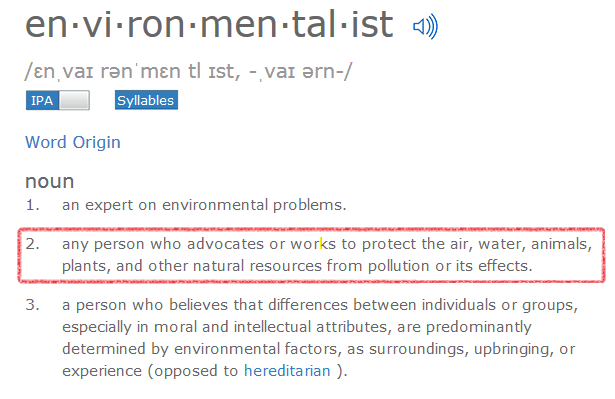 A while back, when I was updating my blog and Twitter profiles, I decided to include "environmentalist" in my bios. At the time though, typing the word did give me pause. Am I an environmentalist? I mean, it's not my profession; I didn't study it in school. Am I even allowed to use this term? It's easy enough to say I'm into green living, eco-friendly, sustainable living, and so on, and so on. All those adjectives become a bit cumbersome though. I like that environmentalist is succinct and encompasses all the other terms. To cover my bases, I did a bit of searching to see how others were using the term. I was relieved to discover that, with my beliefs and practices, I could, indeed, claim environmentalist as an identity! 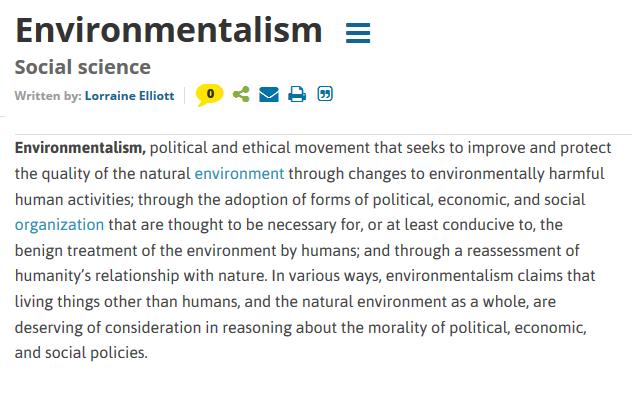 After this quick web research I decided I felt good about labelling myself as an environmentalist. I still continue to qualify it as just an "everyday environmentalist" in casual conversation and add in some other descriptions for clarity sake. 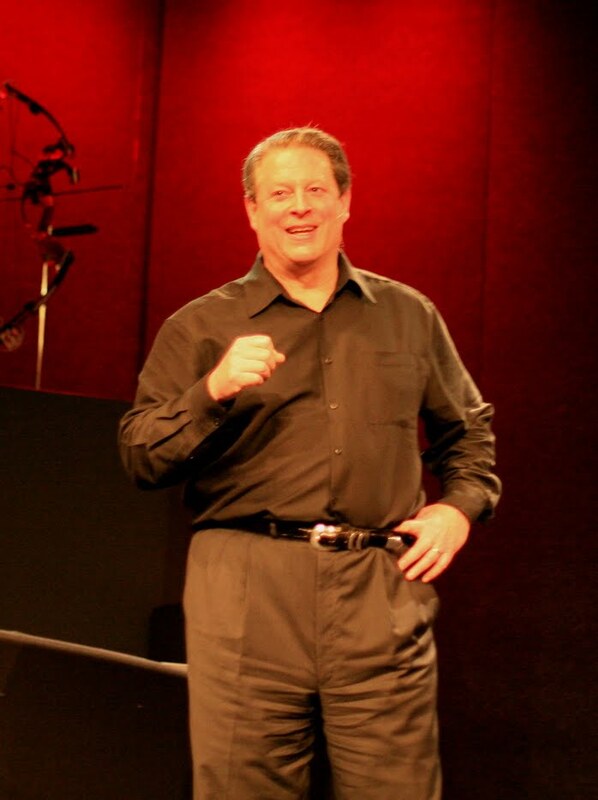 I encourage other green-living folks to stand up and shout out if you too are living green. Identify! So tell me, how do you identify yourself in the context of eco-conscious, sustainable, environmentally-friendly living? Queen Composter is sharing a way to talk to children about being happy with what you have. As a teacher one of the first ways I teach something is through reading a picture book. There's something about compelling illustrations to draw us into the author's message. I believe that picture books can be used with all ages, be they young children or fully grown adults. Teaching about the importance of the Earth and environmentalism is a tough topic for children, as the Climate Crusader has found, and I have found one of the best ways to engage children with difficult topics like the environment and social responsibility, is through reading books. One area of my life that I am trying to work on is being satisfied with what I have and not desiring more stuff, like my own Making Do Movement, so I was drawn to a book in my school library, The Short And Incredibly Happy Life Of Riley by Colin Thompson and Amy Lissiat. 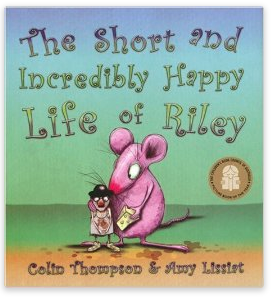 It is about a rat named Riley who is content with his life. When he looks in the mirror he sees himself. When he eats his favourite fruit he is happy. He lives a short, but content life. Humans should never, the author contends, compare themselves to animals because they will always be disappointed. Humans look in the mirror and wish they were bigger, or smaller, or looked different. They aren't satisfied with the food they have or what they do with their lives because they look at others and compare. They live a long, unhappy life wishing they had more. In our lives today stuff is so important. We want more to fill the void of unhappiness. We want more as a sign that our lives are improving. 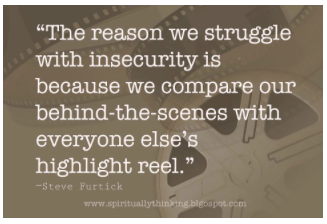 We compare ourselves to others and feel bad about ourselves. The unfortunate thing is that there will always be someone smarter, prettier, wealthier than us with more style. I am not immune to this thinking. I remember as a teenager thinking that if I just had those new pair of jeans like other girls I would transform my life and my social life would improve. But as an adult I am no different. If I just had that awesome nontoxic reusable dish for my baby she would eat her food when we go out. If I just had that awesome new kitchen gadget I'd be able to make healthy meals for my family. That new gardening tool will transform my vegetable beds. Obviously our brains do not work in this obvious and overt way, but that is essentially what happens beneath the surface when we see more and want it cause others have it. No matter how intelligent and savvy we are, we are prone to the messages of the media and advertising. And we cannot escape advertising no matter how hard we try. Companies and corporations will always try to make us dissatisfied with our lot, make us desire more and want want someone else has. Rats are fortunate because they do not have ads tailored to their individual preferences based upon their recent Google searches. Rats' lives are much shorter than ours, but they have what they have, and they are who they are. This is a great book to open up the discussion about what is enough, what would truly make us content, and why comparing ourselves to others is wrong. In the end, according to the author, "that is why people should never compare themselves to animals. They will always end up feeling depressed." My name is Green Bean and my rain barrels are empty. It is mid-March and, in Northern California, it is downright warm. We had two rainstorms this winter, our snowpack is 13% of normal. The rhubarb never came up after this spring, after the warmest winter on record (literally), and many established plants have died or are in deep stress due to the prolonged drought. It's not just small scale gardeners like me, either. In Oregon, pear trees bloomed two weeks ahead of schedule - while rented bees were all still in California's almond orchards and before the native bees had emerged from winter. Indeed, in 25 years Oregon has been keeping records, this year was their "lowest amount of chilling by a considerable amount. The three lowest years of chilling occurred in the last four years, with this year being the lowest." Washington state is also seeing its crops starting two and a half weeks ahead of normal due to warm temperatures, which are also jeopardizing the state's wheat crops. To the north, the warm winter has put British Colombia's blueberries in a "danger zone." To the south, a record breaking heat killed famed California poppy blooms. 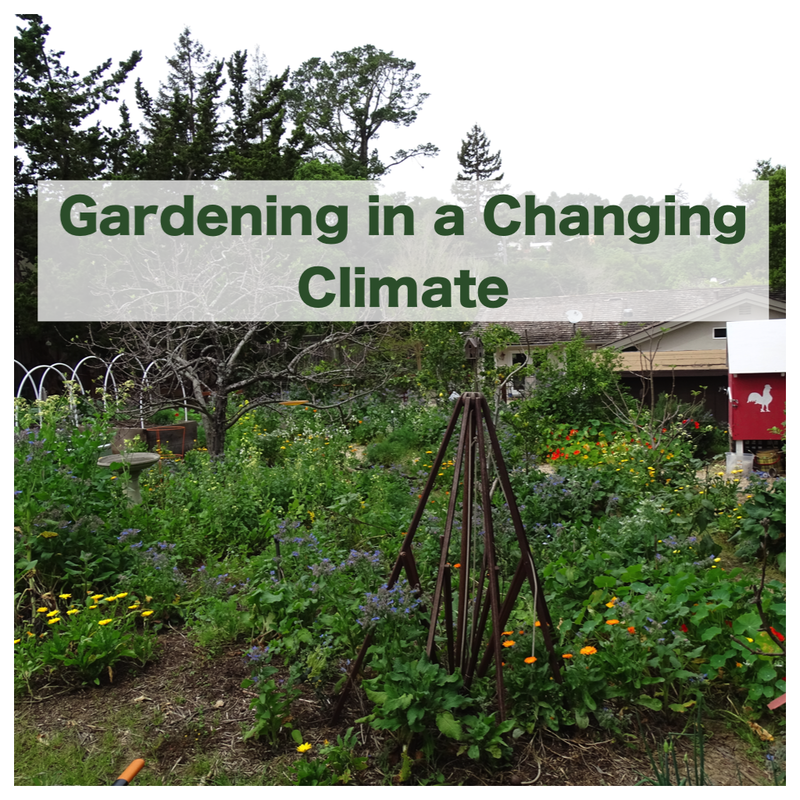 How do our gardens survive these unexpected weather changes? How can we normalize patterns in our gardens to ensure decent crops? Temperature Manipulation - In a desperate attempt to get my rhubarb to come up, I mulched it with ice cubes for several days - too cool the soil to the requisite temperature. No dice. I've read that the technique will also not help with chilling requirements. I did, however, put hoops over my raised beds that will enable me to install greenhouse plastic or shade cloth as needed. Greenhouses and cold frames can also help. Plant Variety - If you are putting in fruit trees, choose ones that have lower chilling requirements and that are of more disease resistant stock. Also, put in a wide variety of fruit trees. My most successful apple tree has been the Winter Banana, an heirloom that has been popular in mild winter areas. Further, when trees are stressed by weather changes, they become more susceptible to disease and pests. Fire blight roared through my city two years ago, taking many apple and pear trees. I replaced the Asian pear tree that I lost with a disease resistant variety. Finally, I have aimed to have many different kinds of fruit trees. Last year, the apple harvest for our three trees totaled less than 10 apples. Fortunately, I also have plums, figs, citrus, pears, pomegranates and persimmons. If it is too hot or wet for one type of tree, hopefully it will be just right for another. Plant for bees in your garden to increase the likelihood your edibles will be pollinated. Pollination - The constantly changing weather can do a number on pollination, as referenced above. 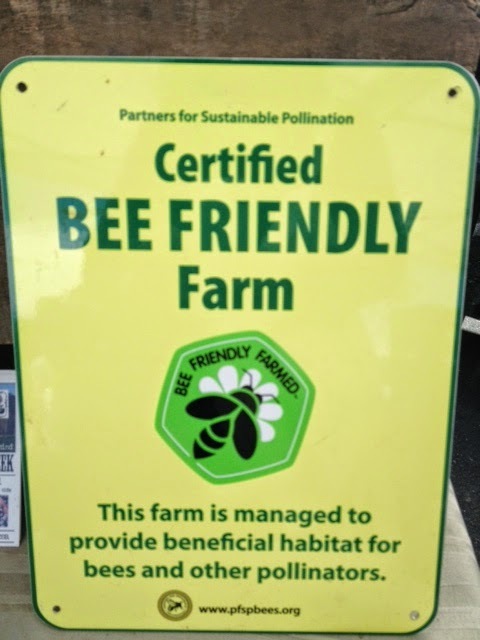 Plant a wide variety of bee friendly plants (annuals and perennials) around your edibles to attract as many different types of pollinators as possible. Leave bare ground for native bee to nest and avoid using pesticides. Hopefully you will end with some buzz around your edibles. If not, grab a small paintbrush and learn to pollinate your own crops. Good Dirt - The key to a garden is its soil. This is even more so when you have temperatures out of whack and drought conditions. Most of our urban and suburban soil has been treated with chemicals over the years, compacted, "mown and blown" and is downright unhealthy. 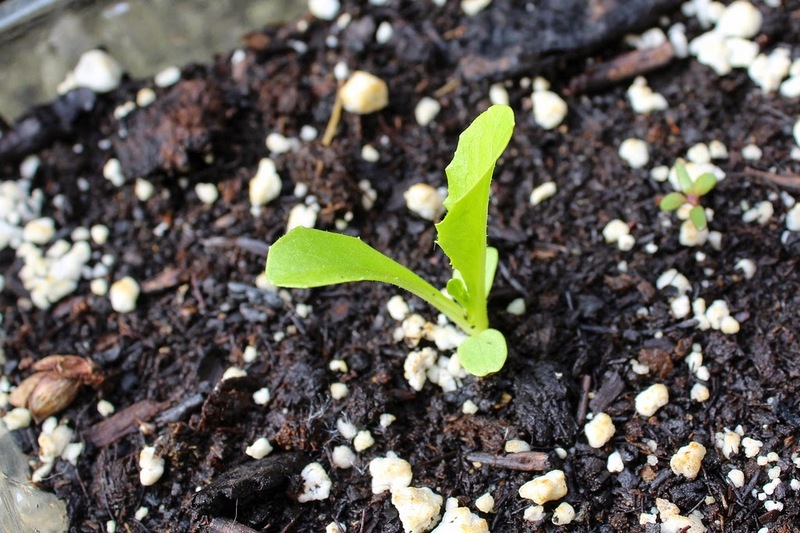 Regularly add compost to your soil and mulch around your plants to coax life back into your soil. Use cover crops and let leaves and twigs lie. Try lasagna gardening. Encourage root growth with Mycorrhizal soil fungi and actively aerated compost tea. These last two tips came from a garden class I recently attended, Gardening in a Drought. The presenter swore by both tips. We toured a native plant garden she put in at the public works building 18 months ago and the plant growth sure beat my garden, planted with the same species at the same time. A pine needle mulch adds organic material to the soil to help it retain water. Water Right - Whether your area is stricken by drought or not, your plants will benefit from correct watering. I confess that this has been a challenge for me. I tend to underwater and then compensate by overwatering. It is best to water long, deeply and infrequently. Wait until your plants start to show some stress and then give them a nice deep drink. Play with your irrigation timer frequently and invest in a moisture meter. Just because the top of the soil is dry, does not mean the root ball is. Conversely, the top may be wet and deeper down, bone dry. For more ideas, check out the post - Weathering the Garden - that I wrote on this topic back in 2011. 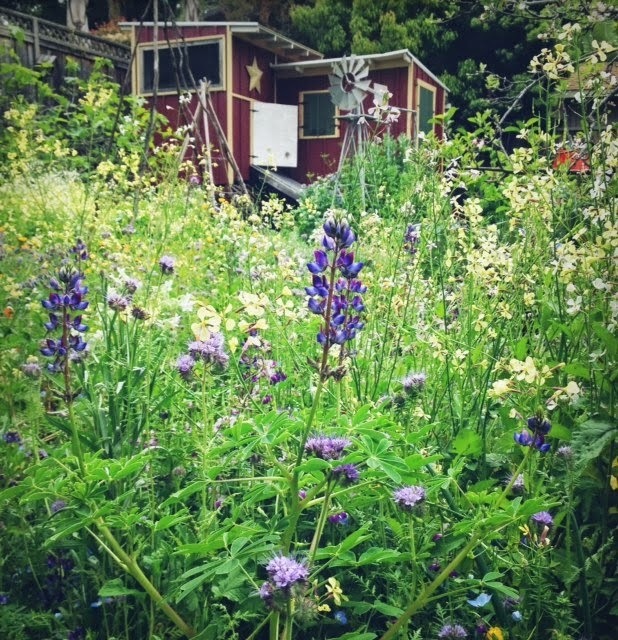 What changes have you made in how your garden to account for unpredictable weather? This post is part of the Tuesday Garden Party, Maple Hill Hop and Green Thumb Thursday. The Climate Crusader is looking forward to a green spring, and she has tips to share. The first (official) day of spring is less than a week away. Here are four steps to take right now to get the season off to a green start. 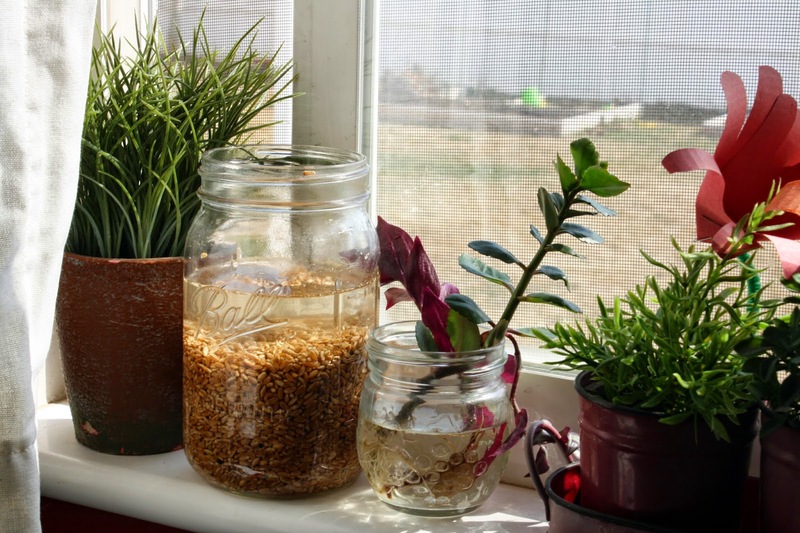 Many herb and veggie seeds need to be started indoors as much as two months before you transplant them outdoors. This means that now is the time to plan ahead for your fall harvest. Of course, you can always buy seedlings, but that's more expensive and there's usually variety to choose from. I eagerly await the arrival of my new seed catalog every winter, and spend a lot of time debating between tomato and carrot varieties. At my local garden center I can usually only find one type of tomato seedling, and no carrots at all. And once you feel comfortable growing from seed, you can even start saving seeds. Cycling weather may still feel far off in some parts of North America, but it will be here before you know it. On that first sunny day, you won't want to pull your bike out of its winter resting place only to discover a rusty chain and flat tire. Now is the time to get it in shape, so that you're ready to ride (and reduce your carbon footprint) once the warmer weather arrives. For many people spring means spring cleaning. As you're going through your stash of cleaning supplies, now is a great time to opt for greener, less-toxic options. It's not just the health of the planet that's on the line, it's the health of your family. You can even make your own cleaning products. It's super-cheap, and a whole lot easier than you would think. And yes, they really do work, pinky swear. Plus - bonus points - you'll be saving lots of money. Whether you're a gardener or not, your food supply depends on pollinators. Last year I tried keeping mason bees, and found that it was surprisingly easy, plus it was really fun and educational for my kids. Bee-keeping might feel like it's out of your league, but you can be a friend to a pollinator anyway. Grow plants that bees and butterflies enjoy (here's a list), steer clear of chemical pesticides and shop organic when possible. How are you greening your spring? In which the Parsimonious Princess presents an eco-friendly (and less annoying) alternative to plastic Easter grass. Can you believe it's March already? Even though we've had a suuuper wimpy winter here in Utah, I'm still itching for springtime! And with springtime comes Easter. Since Easter is less than a month away (April 5), I thought I would share how I grow our Easter grass instead of buying the fake plastic stuff at the store. Not only is it more eco-friendly to grow your own Easter grass, but you also won't still be finding bits of it around house this summer. Seriously, that plastic grass gets everywhere! My mom and I first tried growing Easter grass as an experiment several years ago and it worked out really well -- it was so easy, actually. I'll be totally honest, though: I don't grow our Easter grass every year, usually due to a lack of planning ahead and not having enough time before Easter to grow it. That said, I've written this post with plenty of time in advance of the holiday -- you only need about a week or so to grow it, depending on how long you want your Easter grass to be (the picture above shows about a week's worth of growth). Hard, uncooked wheat. The amount you'll need depends on how much grass you want to grow. Since wheat is fairly expensive, you can buy a pound for not much money and easily have enough. I bought my wheat for this project in the bulk section at our local heath/natural food store. Aluminum foil. I used this so the moisture wouldn't leak through the baskets I was using. Feel free to improvise you'd rather use something else. It all depends on what you'll be putting the grass in. Potting soil or vermiculite. I've used both with equal success. 1. Line the bottom of the basket with aluminum foil. Spread a layer of wheat on the foil -- this will give you an idea of how much wheat you'll need to soak. 2. Once you've figured out how much wheat you'll need need, transfer it to a container/bowl/jar and cover it with water. Let the wheat soak for about 12 hours -- don't soak it for much longer than that. 3. After the wheat has been soaked, prepare your basket by putting a few inches of potting soil/vermiculite on top of the foil. 4. Spread the wheat wheat on top of the soil/vermiculite. Press in gently. 5. Cover the basket with a dishtowel and place the basket in a warm, sunny place. Be sure that while the basket is covered that the wheat stays moist -- not soaking wet, but moist. This is where the spray bottle comes in handy. 6. Once the wheat has sprouted, keep the basket uncovered and let it grow in said warm, sunny place. 7. Water daily, as needed, with the spray bottle. 8, Watch it grow! Trim with scissors, as needed/desired. As I mentioned before, the picture at the top of this post shows about a week's worth of growth. Depending on what length you want the grass to be and when you're going display your decorated eggs (you can read about how I do that here), you'll want to plan accordingly. You don't want to start too late (like I said, that's what usually happens to me) and not have the grass ready for your display. On the other hand, you don't want too start too early and have the grass all yellow and wilted by the time Easter rolls around. Thing is, this grass is so easy to grow, you could do a couple batches from now until Easter! Once I'm finished with the Easter grass, I either give it to my chickens or put it into my compost pile. You definitely can't do that with the plastic stuff! 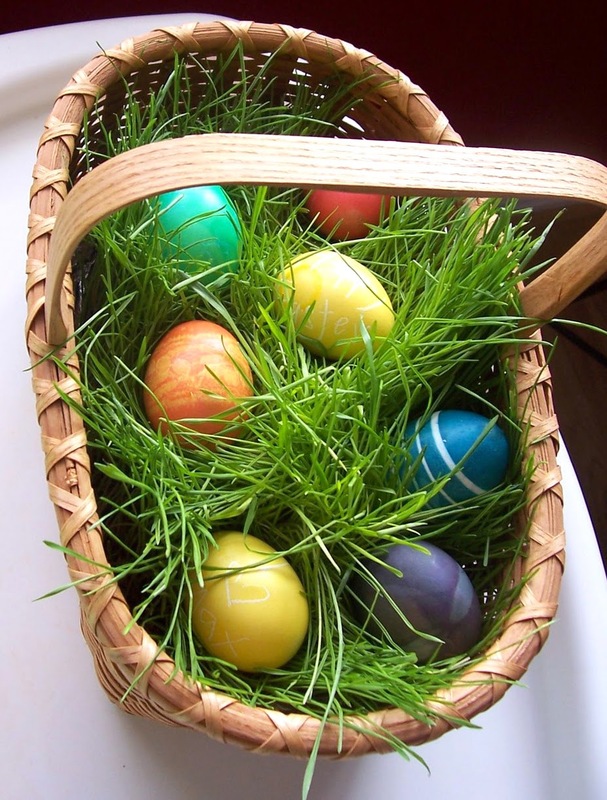 Plus, there's something so refreshing and happy about having living Easter grass in your home. In my mind, it celebrates the renewal and rebirth of spring and the Easter holiday perfectly. Queen Composter shares a home decorating dilemma. I will begin by saying that I have very little fashion and design sense, and I cannot walk into a room and see how I can transform it into a vision of my own style. I cannot just slap a coat of paint on something and magically transform a room for under $700. Anyone who comes into my home or sees how I dress can see that right away. The downside is that I am sometimes embarrassed by the mismatched nature of my home furnishings. The upside is that I am not spending thousands and thousands of dollars updating my home to the latest and greatest style. who help source replacement boards and install for me. One of my pet peeves is watching home decorations and real estate shows that have people saying how the house is not move in ready because the perfectly serviceable countertops are not granite and the appliances are not stainless steel, and how they want to rip everything out of the kitchen to make it more their style. When we moved into our home we were thrilled, despite the fact that the original 80s kitchen cabinets have not been updated (just painted) and the countertops have a faux treatment to look like granite (and they aren't fooling anyone, I assure you!). It was move-in ready because everything worked. 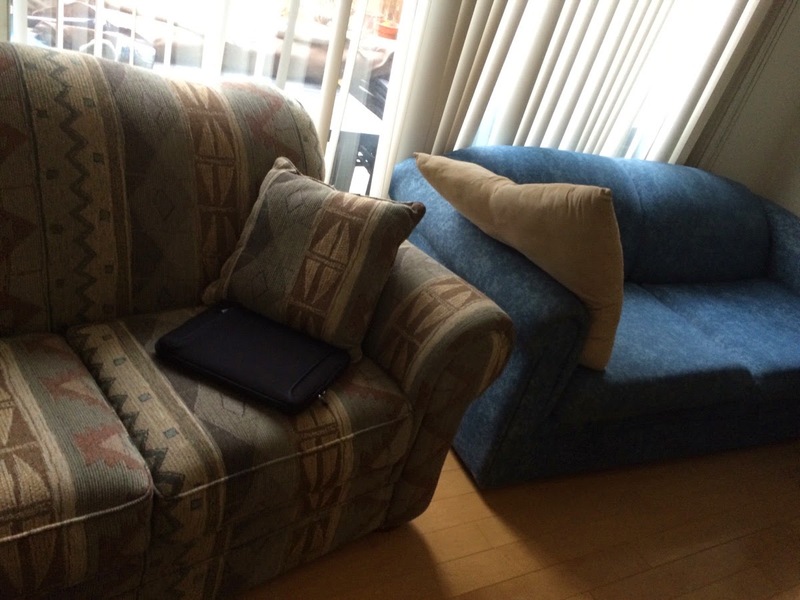 Recently I moved some furnishings from my grandmother's home to mine. She is in a seniors care home now and in need of downsizing her belongings as we prepare to sell her condo. Walking around her home is like being in an 80s and 90s time warp. We decided to take some of her furniture because it is good quality. I knew that I wouldn't be able to sell or give away the furniture, despite the quality, and this was confirmed to me when the caretaker popped in for a visit while I was packing and moving. He mentioned another elderly resident in the same situation as my grandmother. Her family knew of someone whose entire home had been consumed by a fire and they needed to start completely over. The elderly resident's children offered everything to this family, who rejected what they saw because it wasn't to their taste and looked like it belonged to an old lady. tribal pattern on the left. When we moved everything into my home and I started unpacking, I started to cry, and not just because of all the memories of my grandmother in better days (she has dementia and Parkinson's). 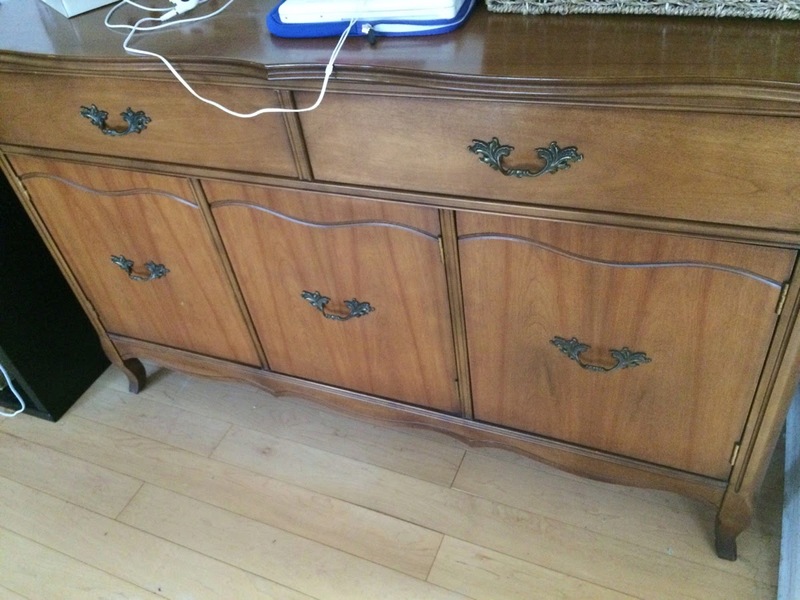 I was also sad because the furniture is darker than I prefer, some of it faded. Looking around my home, I once again felt frustrated that I am always making do with what I have. Over a few weeks I adjusted and I am actually now quite fond of the furniture in my home. Now I see the positives: we have more seating space for everyone; the furniture is more comfortable than the old stuff we inherited from the previous owners; I have more storage space; the move prompted me to donate of over 30 bags and boxes of stuff; we have some excellent quality pieces that I believe are timeless. 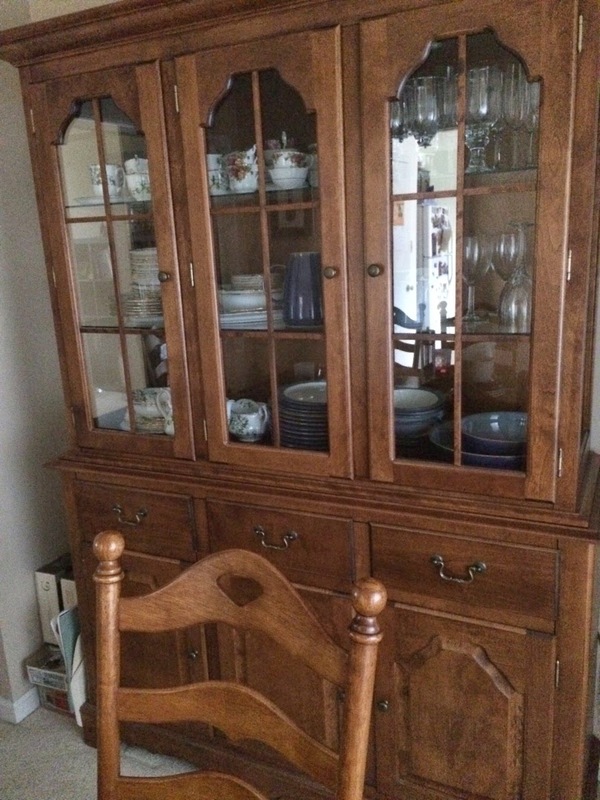 I could slap a coat of paint on things, replace hardware, and buy slipcovers, which perhaps down the road I might do (or knowing me, probably not). I could replace the handles, but I think I like them now. and knitting supplies that were all over the room before. I realize that popular media needs to create tension and drama for people to watch, to sell a better life for people to aspire to have (Home and garden channels, Pinterest boards, you name it). But sometimes we just need to be happy with making do. It's not the end of the world if our home isn't perfect, our clothes aren't the latest fast fashion, or our lawn and gardens aren't magazine worthy. I won't be taking the online quizzes to determine my personal style anymore. I have decided that my style is comfortable. Albert china is now mine. 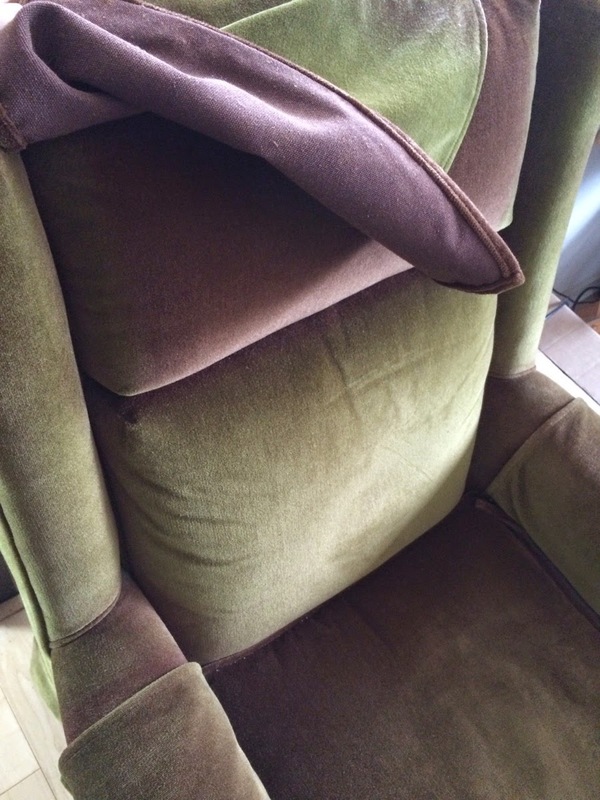 I have saved some great pieces from most likely the landfill, and I have saved not only money but also resources in not purchasing new furniture. Sometimes this is called recycling, or the new upcycing, I would like to start a Making Do Movement. I am proud that I am making do. Green Bean may play a farmer on her blog but takes her hat off to those who actually are. I have what I call a "micro-farm" but it is not a farm at all. Sure, I have chickens and fruit trees. My four raised beds are usually in employ and sometimes spit out something edible. Other times, things don't grow well. The slugs eat the pea seedlings before I realize that, oh man, I've got slugs again! The squirrels get to the tomatoes before I do. Beans don't like to be grown where the bean tepee is. The cucumber beetles decimate my squash plants. And so on. As much as I may think of myself as a farmer, I'm not. And that is why, every weekend, I pay homage to those who are. 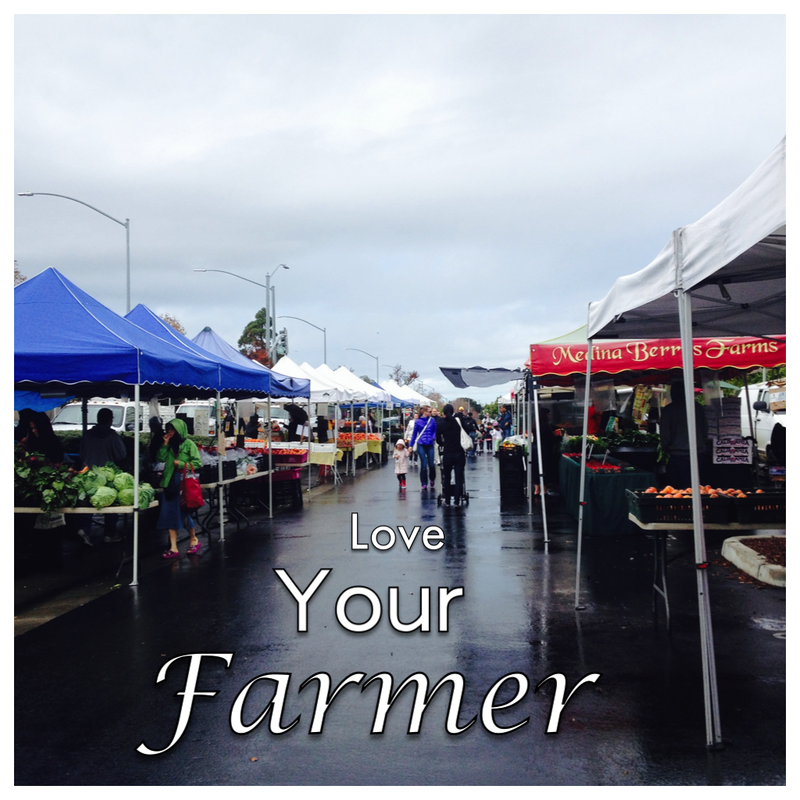 To those people who get up at 3am to make it to the farmers' market and then - come rain, wind or too few people - sell their hard-grown fruits and vegetables with a smile. To those who dare to grow something so old it is new. Who preserve heirloom varieties and offer up beans special enough to be named "Old Indian Woman" or radishes called after a watermelon. Whenever my family travels, we look for the beautiful people. They cannot be found at expensive hotels or five star restaurants. Instead, look to the local farmers' markets. To the people with dirt under their nails, with tired shoulders and hair perpetually tied in a pony tail. Farmers markets are where the beautiful people are! The people willing to fight for good food, healthy soil and biodiverse ecosystems. The Climate Crusader is tackling tough environmental questions with her 10-year-old. My daughter is ten years old now, which makes her a fully-fledged tween. There are lots of great things about this age, and one of them is that she has an increasing ability to understand the world around her. We have detailed and in-depth conversations that wouldn't have been possible a few years ago. And one of the things that we've been discussing lately is the state of the environment. I've worked hard to raise little environmentalists, but that looked different when my kids were younger. I talked to them about the importance of taking care of the earth, and modelled green choices like recycling, shopping second-hand and walking instead of driving. They didn't really understand the reasoning behind why these choices mattered, though. Now that my daughter is older, she asks tough questions about climate change, pollution, energy use and a whole lot more. As we talk, I find myself walking the line between informing her and scaring her. After all, she still is only ten. Here's how I talk about the planet in a way that I hope is positive and productive. Keep it simple. When my daughter asks me a question, I do my best to answer that question without providing a whole lot of extra information. More details will come later. For now, there's no point in burdening my child with a lot of extra information that she can't act on. Make it action-oriented. It's easy to feel overwhelmed when you're faced with a big problem, even as an adult. Having something to do can help you stay positive. If your kids are feeling frightened about the state of the planet, emphasize what they can do to make a difference. It's possible that your family is taking steps already, but your kids don't really understand the reasoning behind those changes, so now is a great time to fill them in. Show me the money. A lot of tweens get an allowance, or have some other source of spending money. One way that many parents teach good financial skills is by having their kids set aside a portion of their money for charity. If the environment is important to your family, you can help your tween to choose an environmental charity to donate to. You can also share how your tween can make green spending choices when they're out shopping. Don't lie. It's tempting to down-play, sugar-coat or downright lie when you're talking about hard truths with your kids. This teaches your kids that they can't trust you, though. Information is power, and as children grow they need more information to understand the world and their place in it. Let your kids guide you about what you share and when, and don't overshare, but be as honest as possible as you tackle environmental questions together. You also don't have to be afraid to say that you don't know the answer to a question - you can search it out together. Finally, if you're looking for good environmental websites for kids, eartheasy and Care2 have suggestions. How do you talk to your tweens about the environment?